Партнерам My Account Checkout Call me! 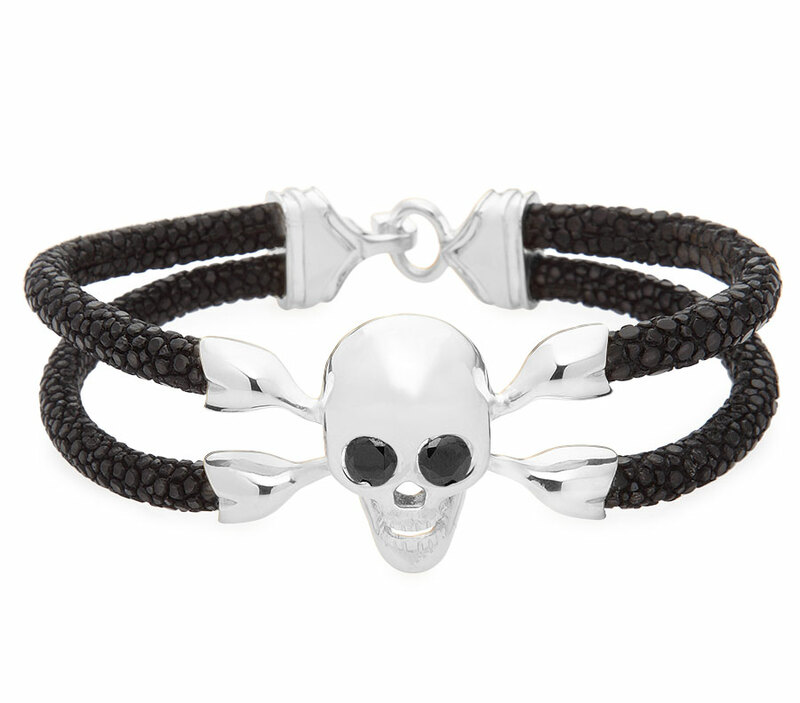 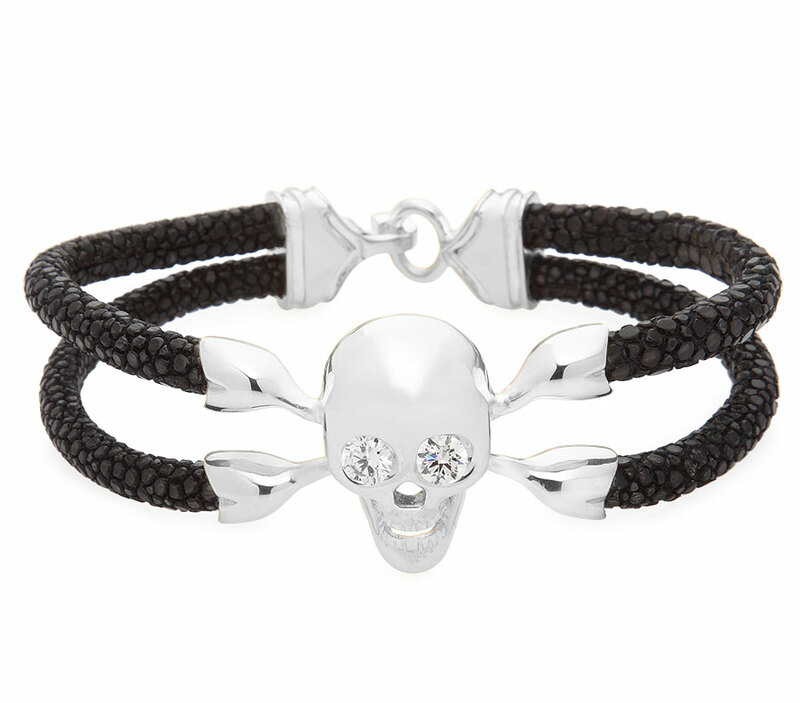 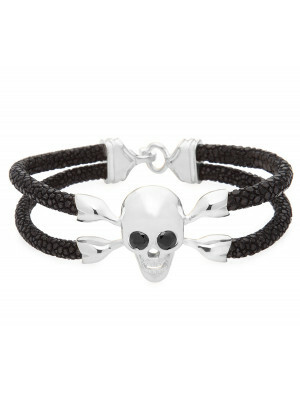 A bracelet with two black stingray leather straps decorated with Skull and sustainable snap of gold-plated stainless steel. 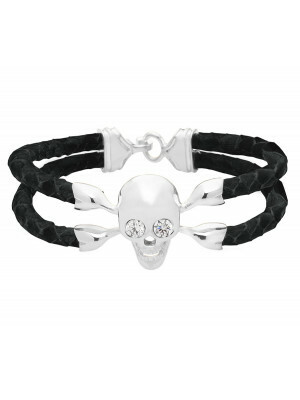 Encrusted with white Swarovski crystals. 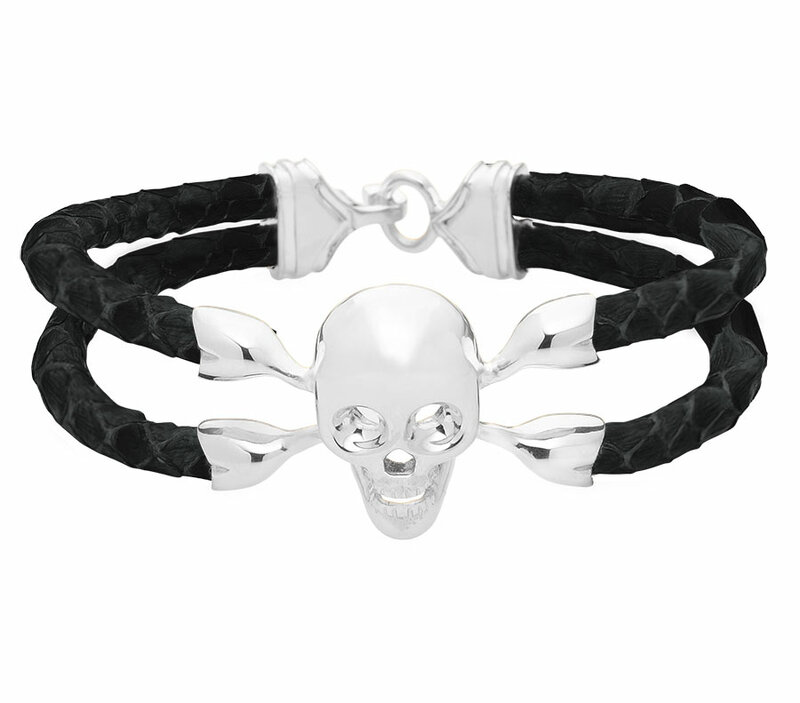 JEMANTA – stylish bracelets made of stingray leather for men and women.